Summer is coming to a close (though lets be real, in Arizona we still have another month or so of heat). Menus will soon be changing over to fall offerings. Before that happens we had a chance to head over to St. Francis to sit with head bartender Titus and try a couple drinks off of their summer cocktail menu. Located in the middle of Phoenix, St. Francis offers a very season focused menu. In addition to their regular menu, guests are treated to seasonal treats that only may be around that day. Case in point, on the day we visited, we were treated to The Fuschia Rest, a cocktail featuring gin, prickly pear (foraged by Chef Aaron Chamberlin himself in Northern Arizona), vanilla, lemonade, and fresno chiles. Aside from being absolutely gorgeous, this drink was a delight to the palate. The vanilla and fresno chiles made for a complex flavor that was incredible. In addition to the cocktail, we also tried some fried okra that was made as a special that day. 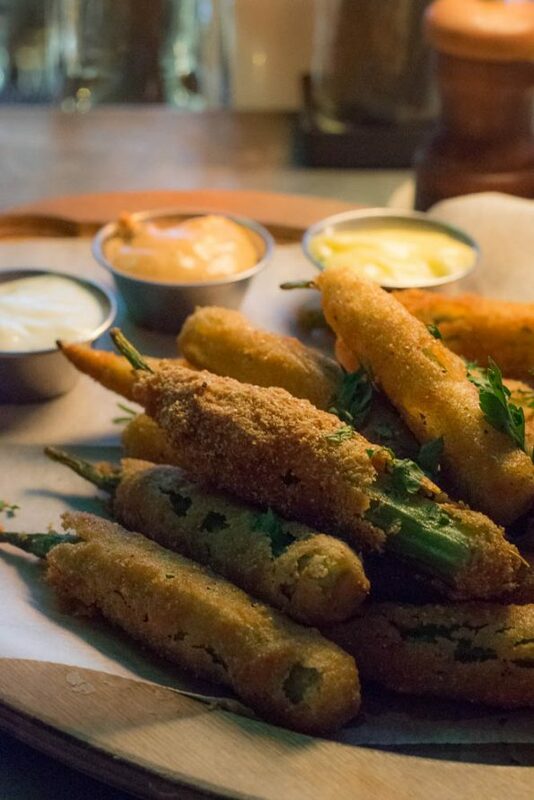 Typically we aren’t crazy about okra but this okra was the stuff of dreams! The cornmeal breading was crispy and well seasoned. Truth be told, we were just fine having only this for dinner. While we were at St. Francis we also tried a few of their summer cocktails. 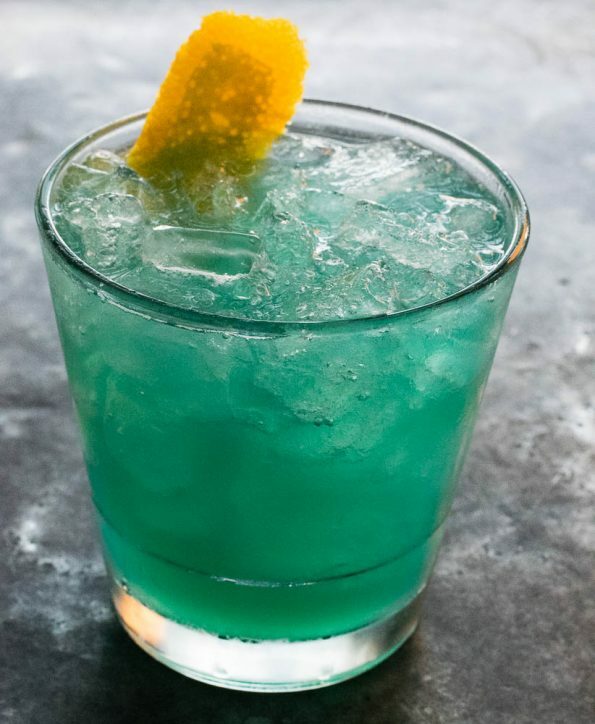 We ordered The Cloud Cover (london dry gin, Giard Blue Curacao, Velvet Falernum, fresh squeezed lime juice) and The Dean (bourbon, Campari, Giard Vanilla, Breckinridge Whiskey). Both drinks were outstanding! Titus really has a grasp on making a well balanced but still complex cocktail. The Cloud Cover was reminiscent of a tiki drink, yet because of the gin it wasn’t. What it was though, was a drink that is perfect for the hot Arizona summer. The Dean (we had to order this because we are Supernatural fans) was a bit warmer in flavors. The use of the Giard Vanilla toned down the Campari significantly making this our favorite drink of the evening. We really hope this cocktail sticks around past the summer months. We really enjoyed the everything at St. Francis, including the relaxed vibe of the restaurant! It isn’t hard to see why it has become a Valley staple. We can’t wait to see what is coming in terms of the fall cocktails from Titus as well as what Chef Aaron Chamberlin has up his sleeves as far as the fall menu. Have you been to St. Francis? What were your favorites? Were they seasonal or regular menu items? We’d love to now! Use the hash tag #GeekEats or leave a comment below!